Unknown Artist, Memorial to Nicholas M. S. Catlin c. 1852, oil on canvas, 98.4 x 73.2 cm in the collection of The National Gallery of Art, Washington, D.C. 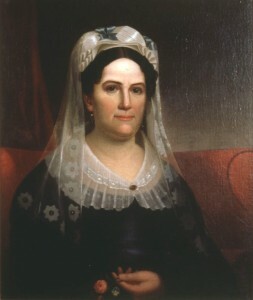 The posthumous portrait can be hard to identify. 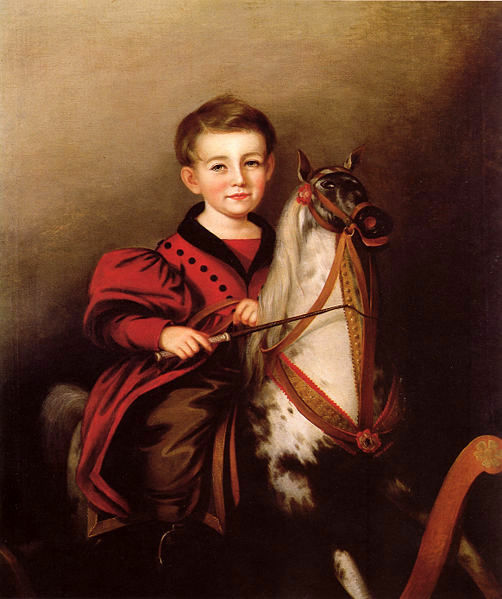 Often, the only true way to know that the sitter is deceased is the inscription on the back. For avenues of further study I would look for more unifying themes in the subject matter. There is little regarding information on the symbolism and especially little on how it would have been perceived by the public. There portraits are a unique representation of the patrons wishes and the artists style. Lloyd, Phoebe. 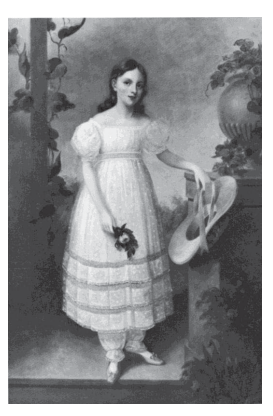 “Posthumous Portraits of Children in Nineteenth-century America.” Social Science 71, no. 1 (1986): 32-38. “American Folk Art Museum.” American Folk Art Museum. http://www.folkartmuseum.org/?t=images&id=1589 (accessed April 15, 2014). Retford, Kate. 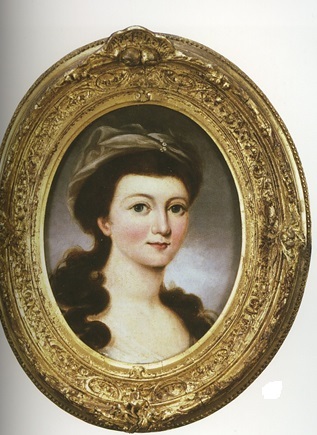 A Death in the Family: Posthumous Portraiture in Eighteenth-Century England. New York: Association of Art Historians, 2010. The Museums at Stony Brook. “Is Art Hereditary? The Mounts, A Family of Painters.” Is Art Hereditary? The Mounts, A Family of Painters. http://www.tfaoi.com/aa/2aa/2aa622.htm (accessed April 15, 2014). Lloyd, Phoebe. “A Death in the Family.”Philadelphia: Philadelphia Museum of Art Bulletin” Vol. 78, no. 335 (1982): 2-13. Schorsch, Anita. 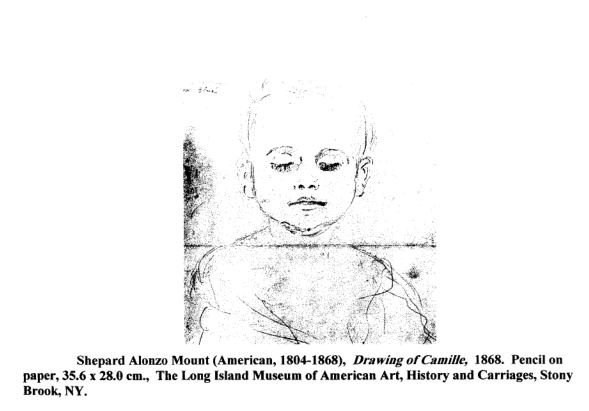 “Mourning Art: A Neoclassical Reflection in America.” American Art Journal 8 (1976): 4-15. Huneault, Kristina. 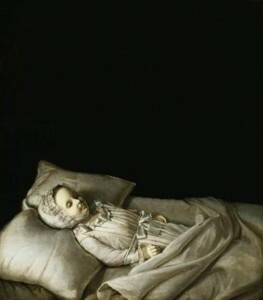 “Aspects of Acceptance and Denial in Painted Posthumous Portraits and Postmortem Photographs of Nineteenth-Century Children.” Ottowa: Concordia University Libraries, 2011. Kete, Mary Louise. Sentimental Collaborations: Mourning and Middle-class Identity in Nineteenth-Century America. Durham: Duke University Press, 2000. [i] Mary Louise Kete, Sentimental Collaborations: Mourning and Middle-class Identity in Nineteenth-Century America. (Durham: Duke University Press 2000). [ii] Phoebe Lloyd, Posthumous Portraits of Children in Nineteenth-century America. (Social Science; 1986) 32-38. 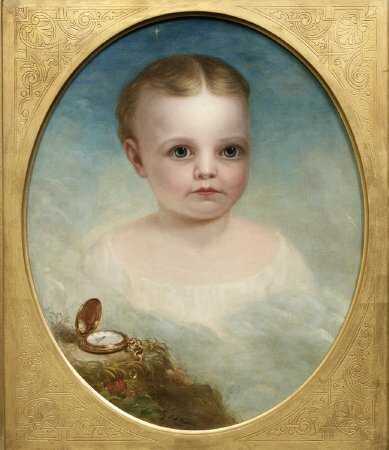 [iii] Phoebe Lloyd, Posthumous Portraits of Children in Nineteenth-century America. (Social Science; 1986) 32-38. [iv]Mary Louise Kete, Sentimental Collaborations: Mourning and Middle-class Identity in Nineteenth-Century America. (Durham: Duke University Press 2000). [v] Phoebe Lloyd, Posthumous Portraits of Children in Nineteenth-century America. (Social Science; 1986) 32-38. [vi] Kate Retford, A Death in the Family: Posthumous Portraiture in Eighteenth-Century England, (New York: Association of Art Historians, 2010). 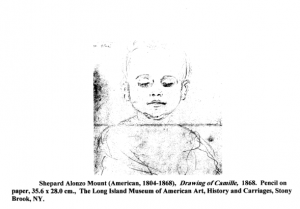 [vii]Phoebe Lloyd, Posthumous Portraits of Children in Nineteenth-century America. (Social Science; 1986) 32-38. [viii] “American Folk Art Museum.” American Folk Art Museum. http://www.folkartmuseum.org/?t=images&id=1589 (accessed April 15, 2014). 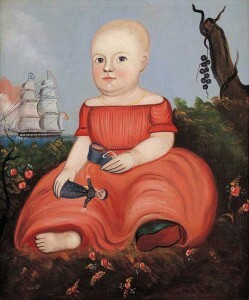 [ix] Phoebe Lloyd, Posthumous Portraits of Children in Nineteenth-century America. (Social Science; 1986) 32-38. [x] Phoebe Lloyd, Posthumous Portraits of Children in Nineteenth-century America. (Social Science; 1986) 32-38. [xi] The Museums at Stony Brook. “Is Art Hereditary? The Mounts, A Family of Painters.” Is Art Hereditary? The Mounts, A Family of Painters. http://www.tfaoi.com/aa/2aa/2aa622.htm (accessed April 15, 2014). 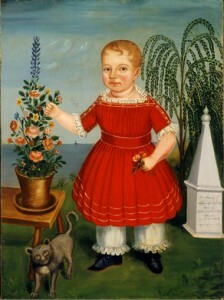 [xii] Phoebe Lloyd, Posthumous Portraits of Children in Nineteenth-century America. (Social Science; 1986) 32-38. 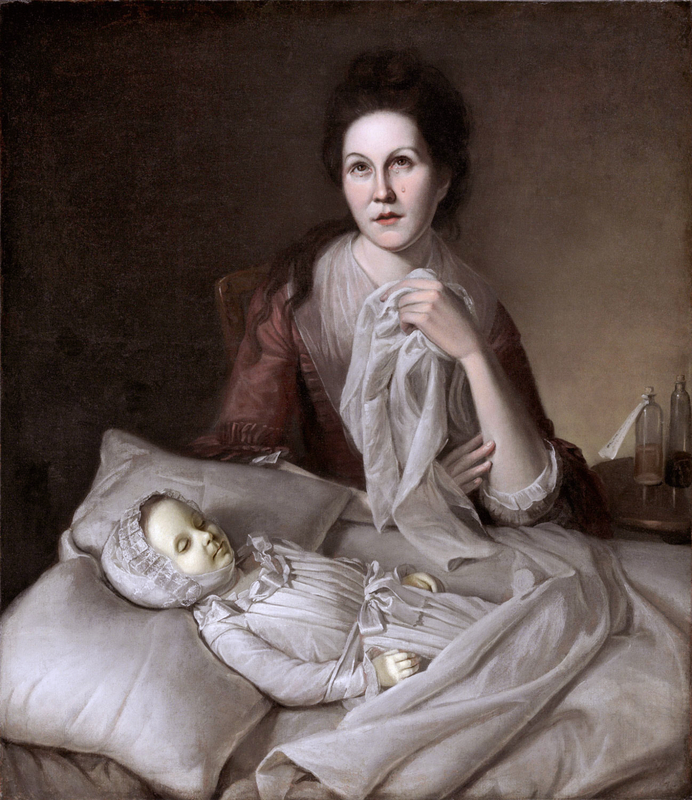 [xiii] Phoebe Lloyd, “A Death in the Family.”Philadelphia Museum of Art Bulletin” ( Philadelphia: 1982) 2-13. [xiv] Mary Louise Kete, Sentimental Collaborations: Mourning and Middle-class Identity in Nineteenth-Century America. (Durham: Duke University Press 2000). [xv] Anita Schorsch, “Mourning Art: A Neoclassical Reflection in America.” (American Art Journal: 1976) 4-15. [xvi] Phoebe Lloyd, “A Death in the Family.”Philadelphia Museum of Art Bulletin” ( Philadelphia: 1982) 2-13. [xvii] Phoebe Lloyd, “A Death in the Family.”Philadelphia Museum of Art Bulletin” ( Philadelphia: 1982) 2-13. [xviii] Mary Louise Kete, Sentimental Collaborations: Mourning and Middle-class Identity in Nineteenth-Century America. (Durham: Duke University Press 2000).